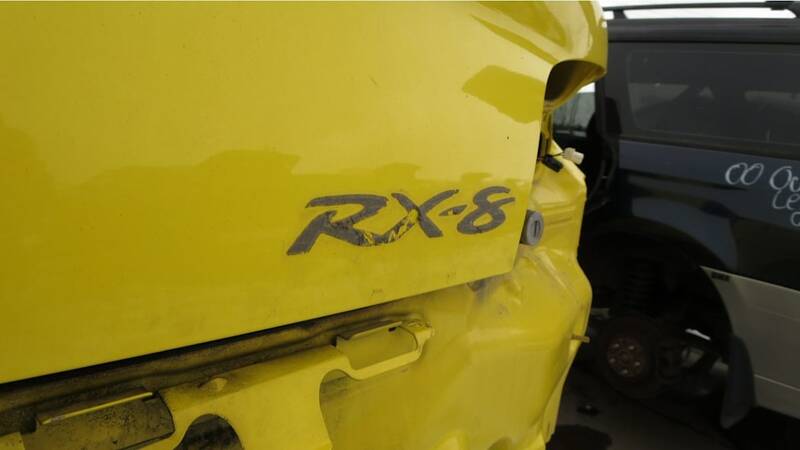 Used-up examples of the RX-8 are just now appearing in u-pull-it yards. 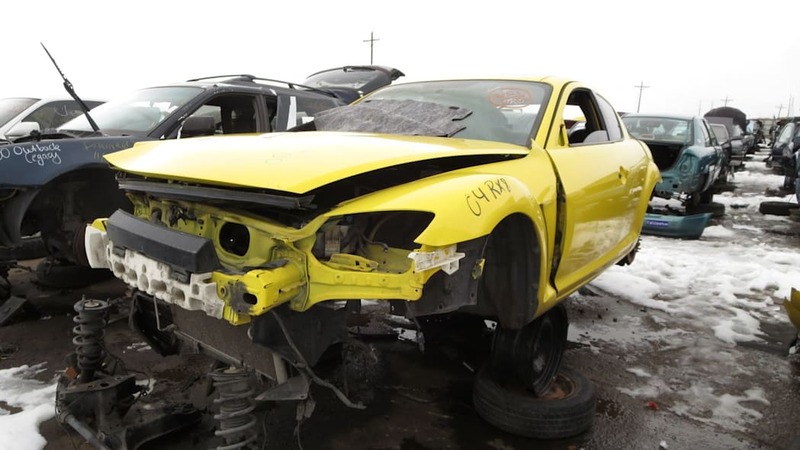 You know when a type of vehicle has reached its value tipping point (where it's not worth fixing up a broken or crashed one) when examples of it begin showing up in the big American self-service wrecking yards. 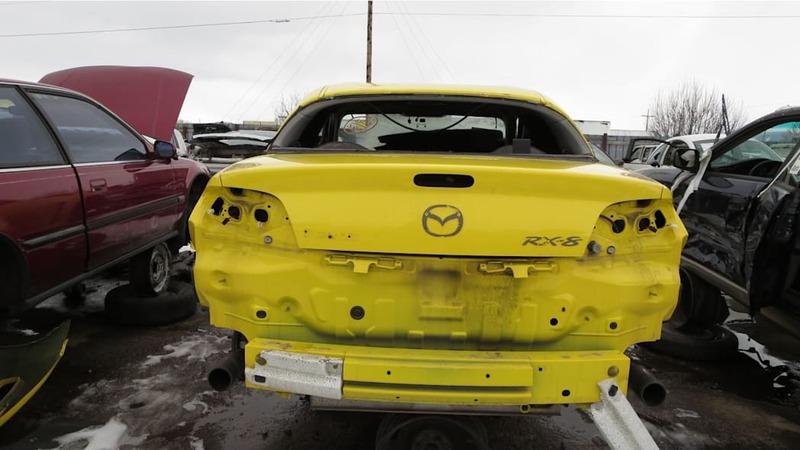 During 2016, the BMW Z3 and Mazda RX-8 reached that point and began to appear, just one at a time, here and there, but obviously they were the advance scouts for many to follow. 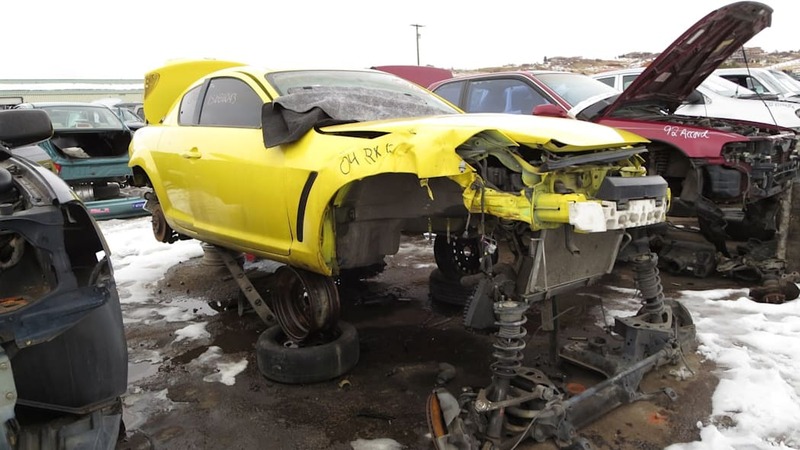 Such cars usually get picked over in a hurry ... at first. 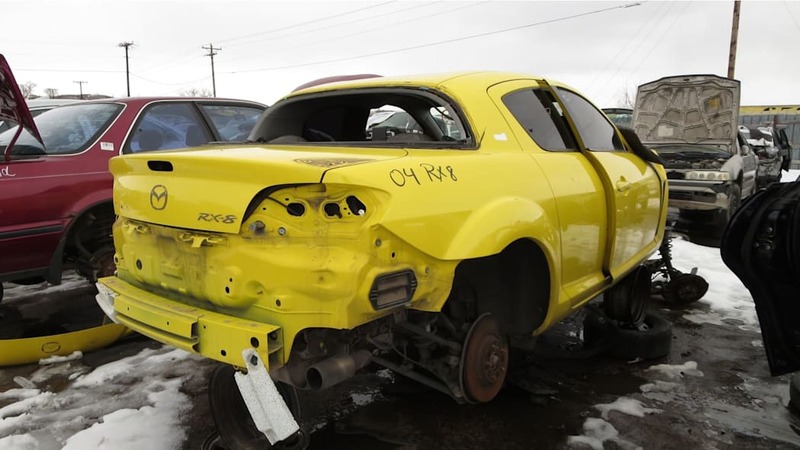 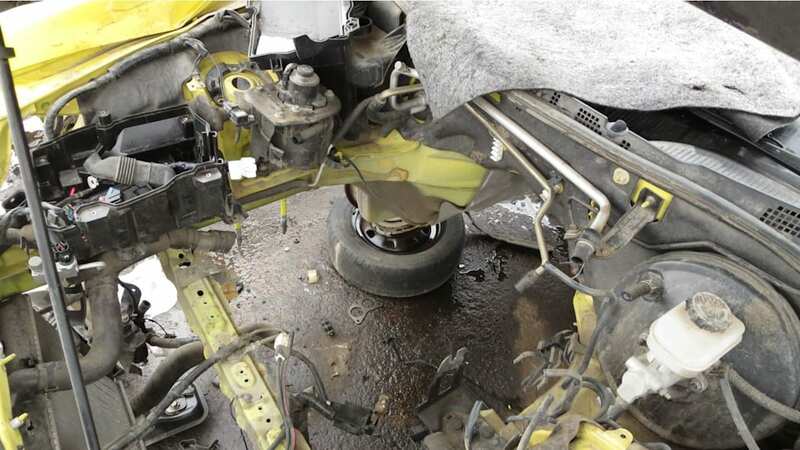 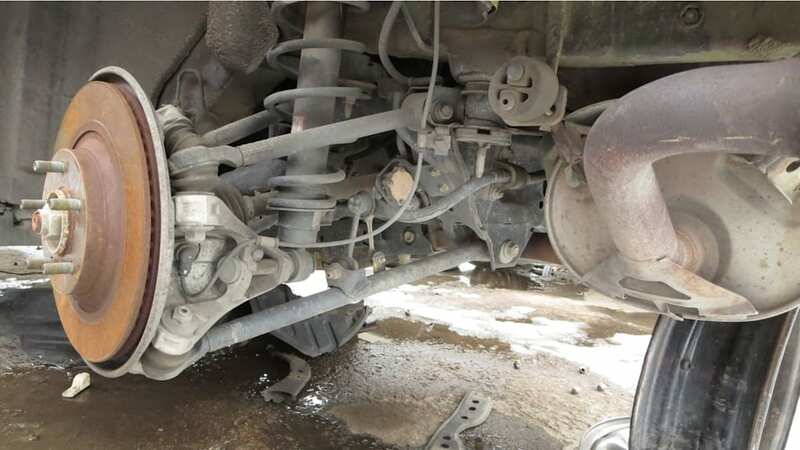 Here's a well-stripped example of a first-year RX-8 I found earlier this year in a Denver yard. 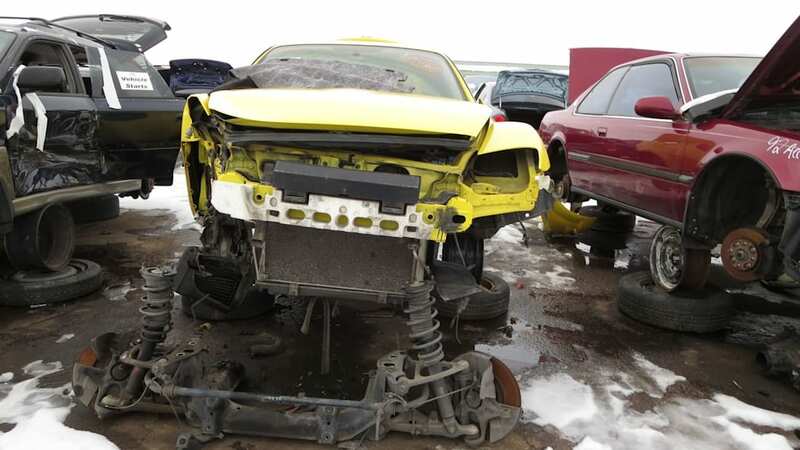 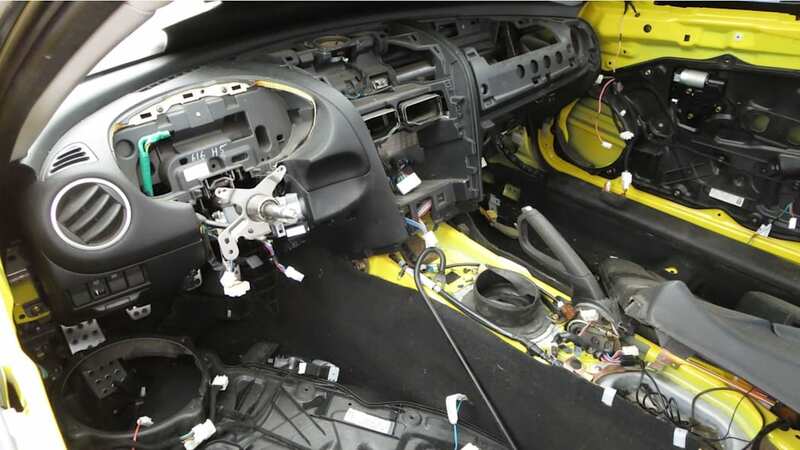 Some RX-7 owner probably nabbed the Renesis engine right away, and then the guys who grab late-model parts to flog on eBay were next. 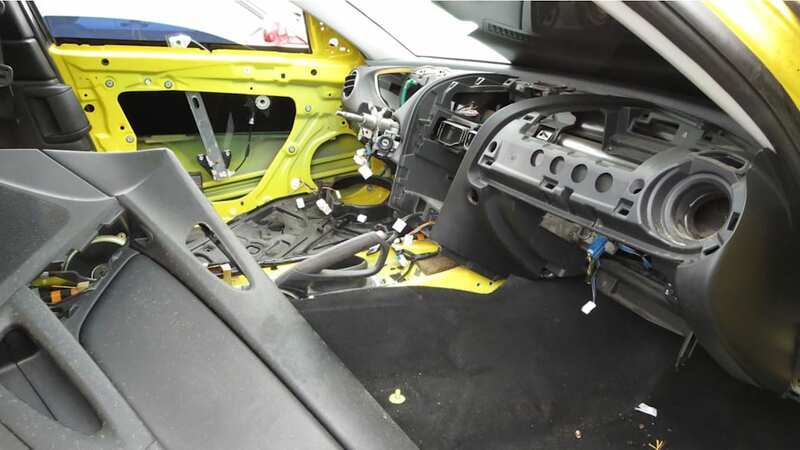 Still, plenty of interesting components remained on this car when I photographed it, and RX-8s that end up here in a year or two won't get swarmed by the vultures anywhere near as quickly. 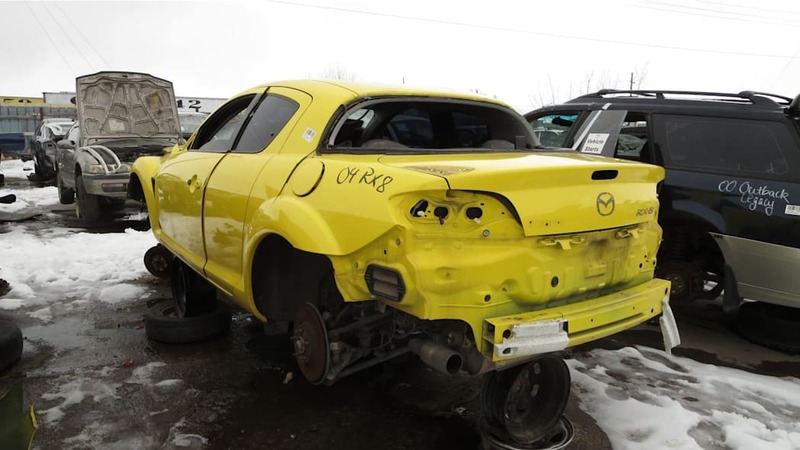 Does that mean that RX-8s are now cheap enough to race in the 24 Hours of LeMons? Could be!